Congressman Kurt Schrader is currently serving his fifth term in the United States House of Representatives. He represents Oregon’s 5th Congressional District, which includes all of Marion, Polk, Lincoln and Tillamook Counties as well as the bulk of Clackamas and small portions of Multnomah and Benton Counties. Before being elected to Congress, Schrader, a farmer and veterinarian for more than thirty years, established and managed the Clackamas County Veterinary Clinic in Oregon City and operated his farm where he grew and sold organic fruit and vegetables. In 1996, Congressman Schrader was elected to the Oregon State House of Representatives. There he served as a member of the Joint Ways & Means Committee. Schrader was one of five legislators asked by their peers to guide Oregon through the budget crisis of 2001-2002. Schrader was elected to the Oregon State Senate in 2003 and was immediately appointed to chair the Joint Ways & Means Committee. He continued to serve in that capacity until he was elected to U.S. Congress in 2008. Congressman Schrader attended Cornell University where he received his BA in Government in 1973. He received his veterinary degree from the University of Illinois in 1977. 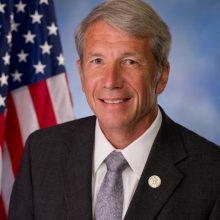 Congressman Schrader currently serves as a member of the House Committee on Energy and Commerce (E&C), which oversees a wide portfolio of issues ranging from health care to the environment. Prior to joining E&C, Congressman Schrader served on the House Committee on Agriculture, where he served on the Farm Bill Conference Committee that successfully passed a five year farm bill, the House Committee on Small Business and House Budget Committee. In the 115th Congress, Congressman Schrader will serve on the Energy and Commerce Subcommittee on Health and the Subcommittee on Energy. Schrader is also a member of the Blue Dog Coalition and New Democrat Coalition, for which he serves as a co-chair of the Affordable and Accessible Healthcare Task Force. He is also a member of the No Labels Problem Solvers Caucus.